Michael is a passionate out of the box creative thinker that provides innovative technology solutions. He connects with each of his clients needs and offers creative solutions tailored to help their small business grow. When Mike has free time he enjoys spending time with his family and friends, producing music, canoeing, camping, sporting clays and enjoying the outdoors in PA where he lives. In 1996 Mike began helping his clients. He started his career in Philadelphia then quickly moved to San Francisco during the dot com boom and consulted for advertising agencies, film makers and post production houses. In 2006 he moved to NYC to accept the role of Head of Technology for fashion advertising and luxury branding company Lloyd & Co. In 2010 he created Technology Fits LLC, and spent his first year developing GM/Chevrolet’s new advertising agency in the heart of Detroit for Goodby, Silverstein & Partners. In 2012 he started Harbortouch Lehigh Valley, which helps bars, restaurants & retail businesses increase profits with Point of Sale (POS) & Merchant Services. 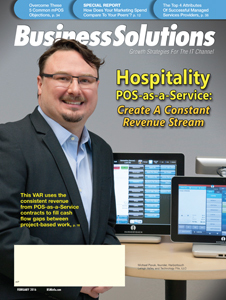 In 2016 Mike was featured on the cover of Business Solutions Magazine for his customer centric approach and benefits of POS-as-a-Service business model for his clients. In 2018 Mike’s Harbortouch Lehigh Valley business was acquired by industry leader Shift4 Payments.